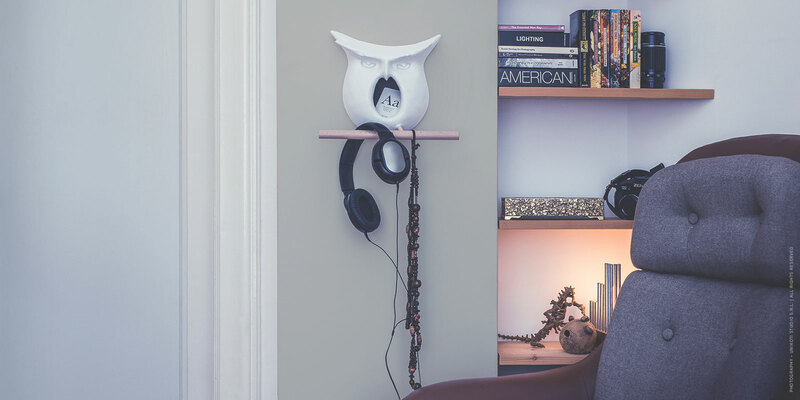 Headphones support. 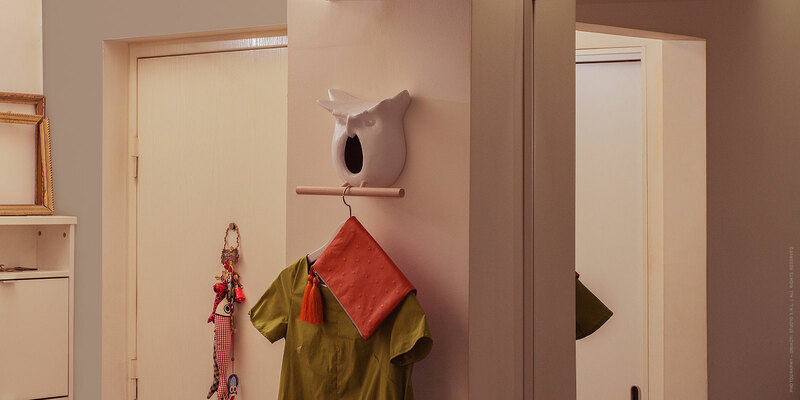 Umbrella hanger. 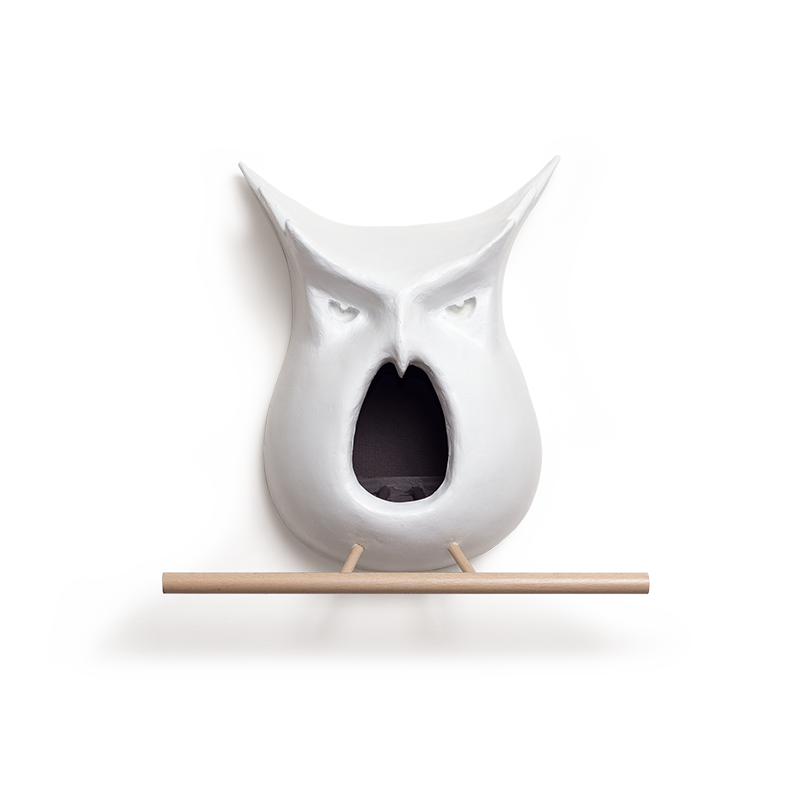 Nest box. 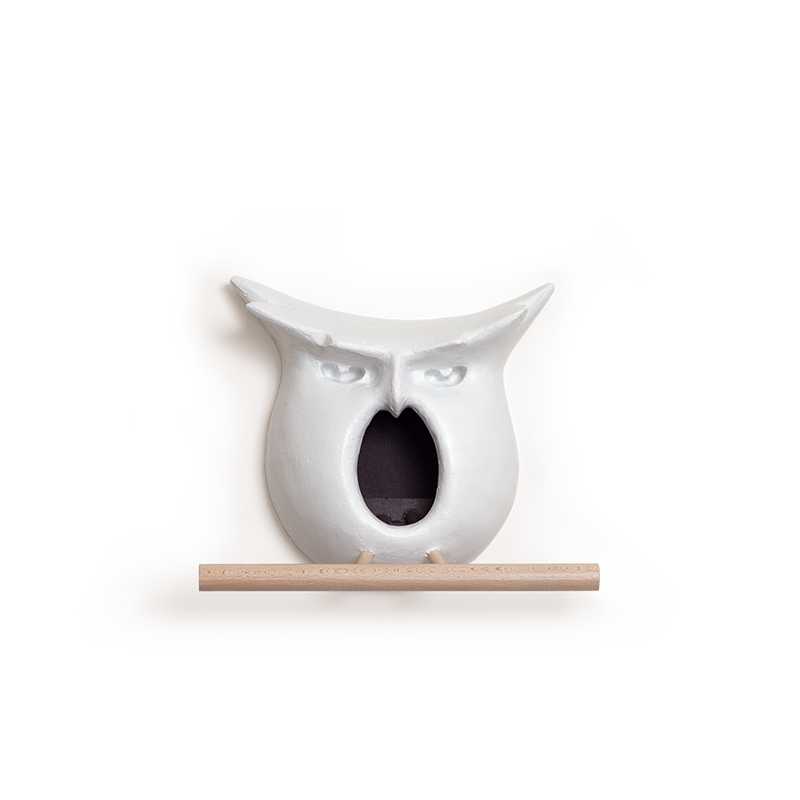 Made from a mix of plaster, concrete and paper pulp, Buhaus has an award winning design. 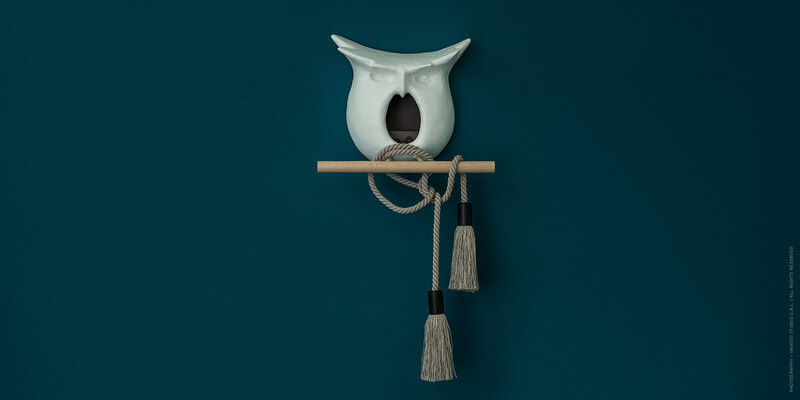 With a texture that feels warm to the touch, it’s reinforced with wood and the beech “feet” and beam have aesthetic, structural and practical roles. 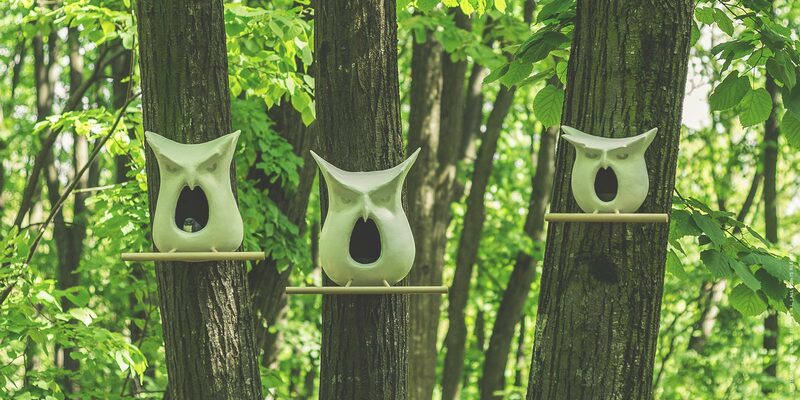 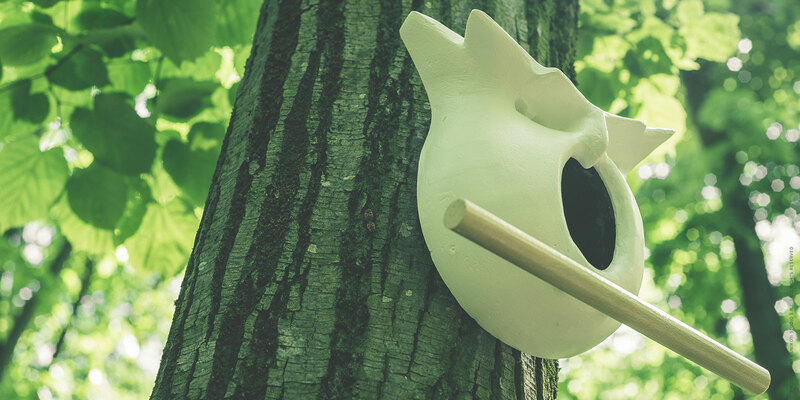 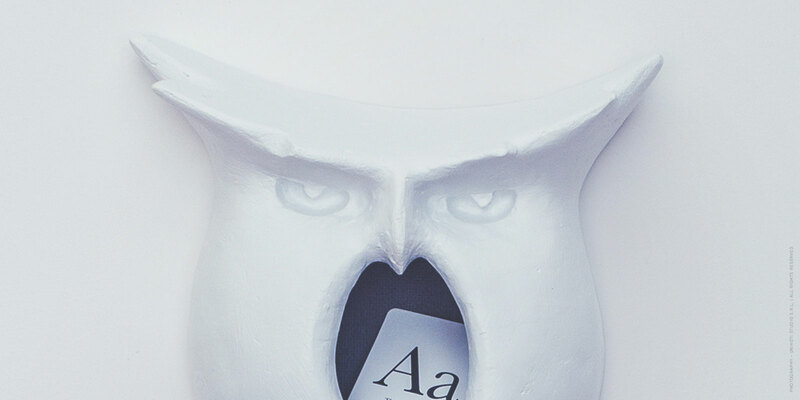 A birdhouse at heart, the Buhaus family developed as a functional, decorative piece for both human and bird. 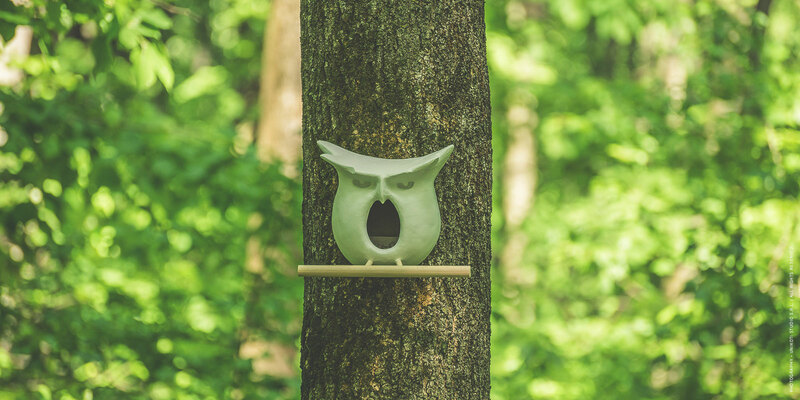 Placed outdoors it’s a home for wild things. 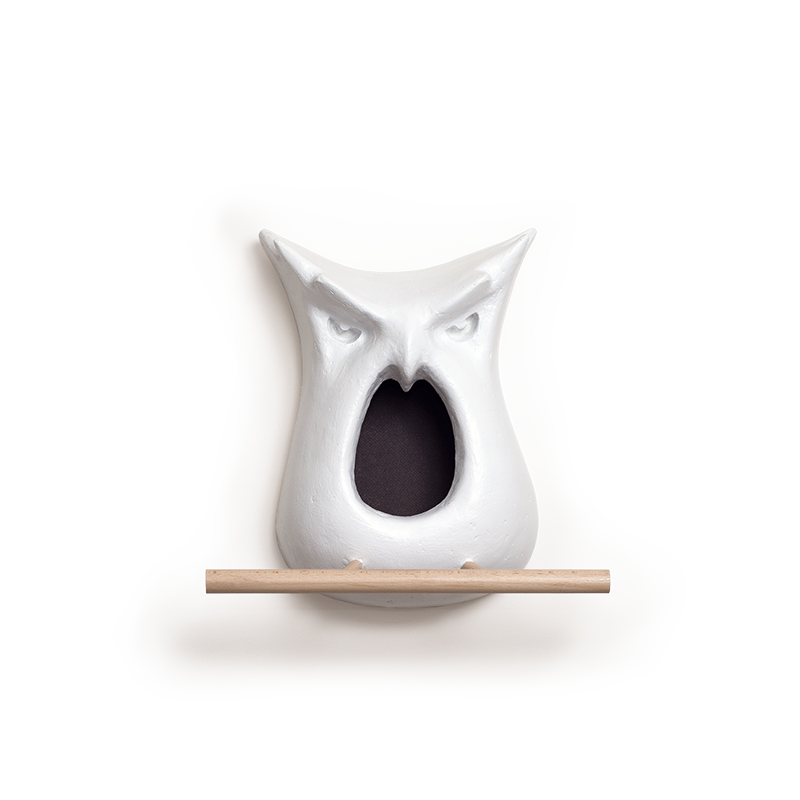 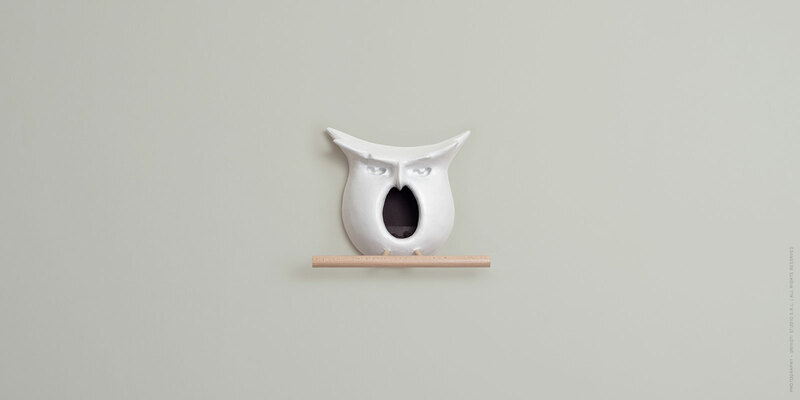 Indoors it’s a personality infused, owl inspired wall decoration that invites one’s inspiration for the beautiful and practical. 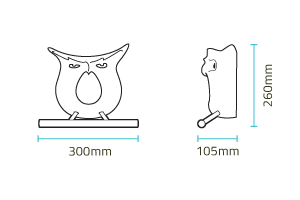 At the moment we're shipping to Romania only.